Learn how to set up different payment methods including credit card (Stripe & PayPal), bank transfer and others. 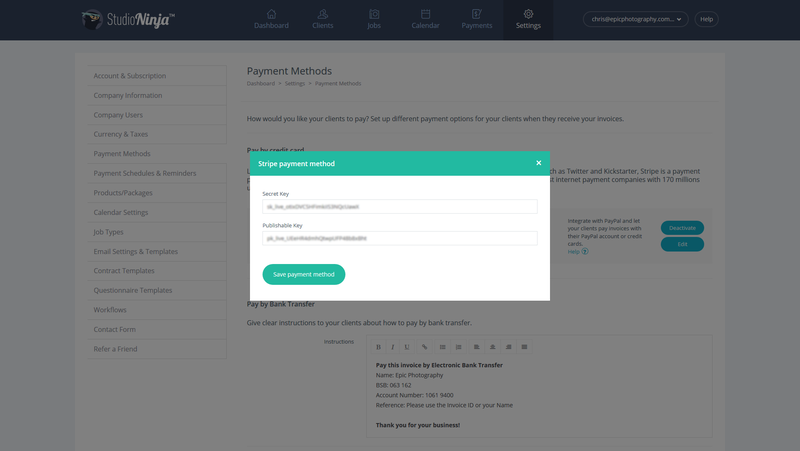 Once you have set up one or more of these payment methods, new buttons will appear on your invoices so your clients can pay you. Stripe fees vary from country to country but based in Australia, Stripe fees are 1.75% + $0.30 per transaction compared to PayPal which is 2.4% + $0.30 per transaction. 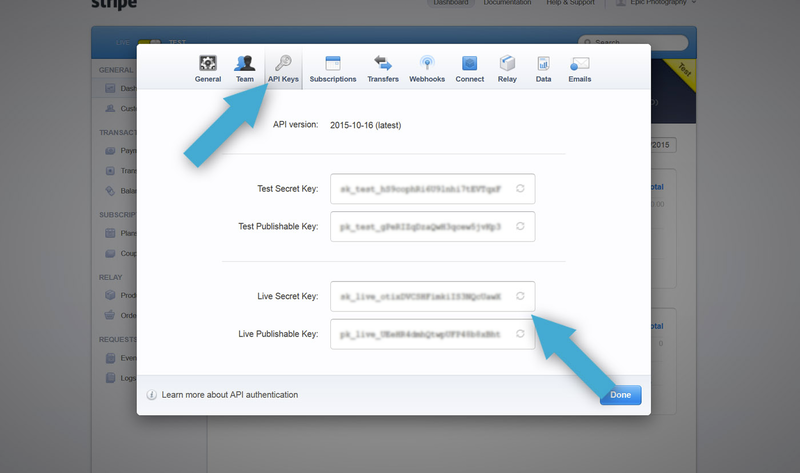 Step 4: Go to Account Settings > API Keys. 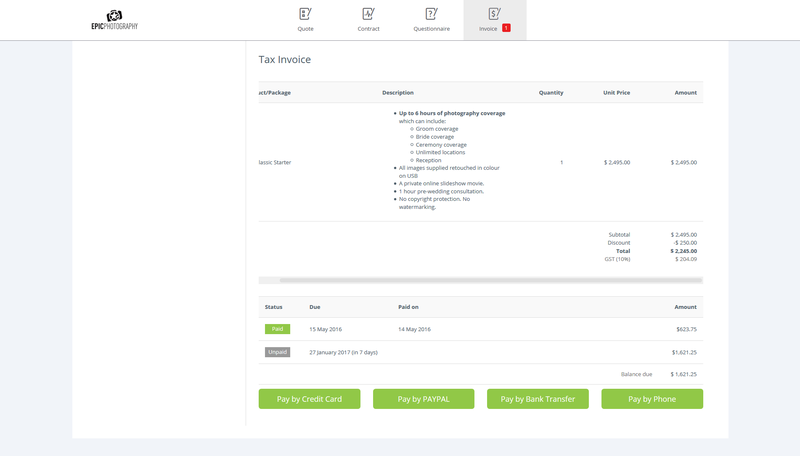 Woohoo, you can now accept credit card payments and a new 'Pay by Credit Card' button will appear on your invoices! When clients pay you by credit card the money will first be transferred into Stripe, held there for between 2 - 7 days and then automatically transferred to your bank account. IMPORTANT: When payments are made by Credit Card your invoices will automatically be marked as paid, so your don't have to do anything! Please follow these steps below to get your API Username, API Password and Signature required to integrate PayPal to your Studio Ninja account. 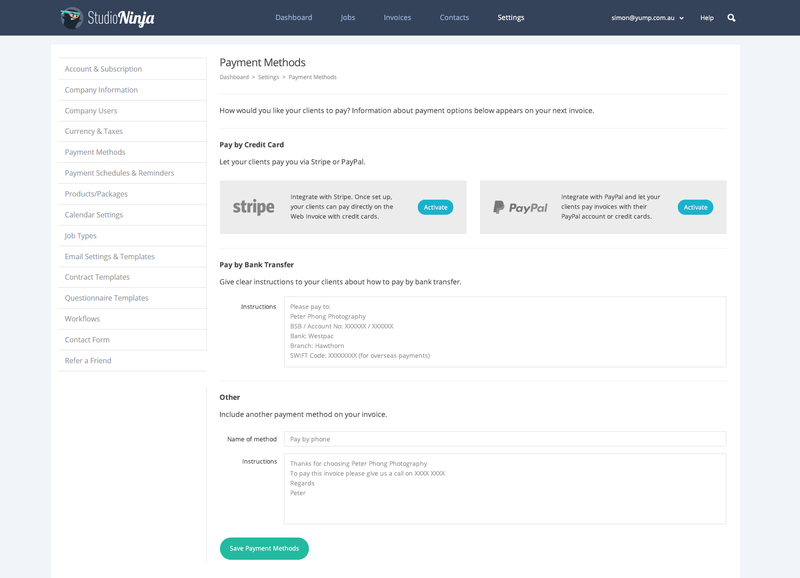 IMPORTANT: We suggest that you activate Stripe or PayPal, not both at the same time as effectively they both do the same thing. A short sentence about what you would like your client to do. Ask your client to provide a reference for this payment, for example their name or the invoice id. And lastly, maybe a short thank you message. 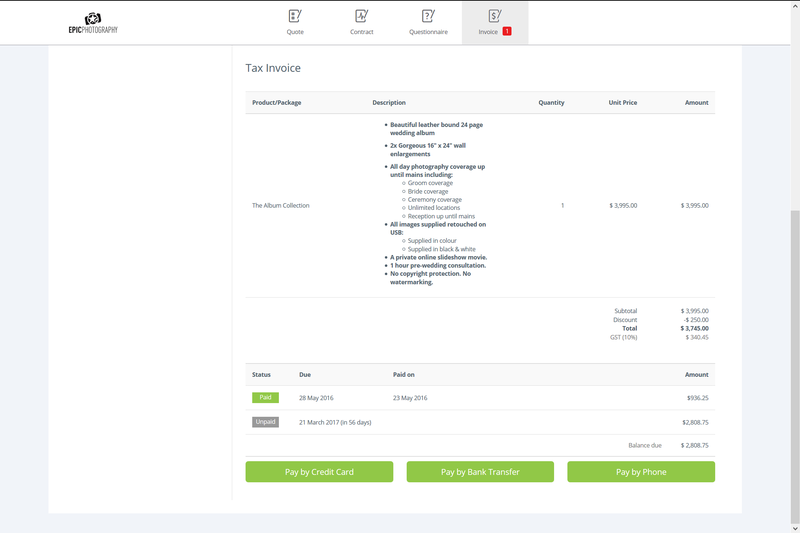 Once saved, a Pay by Bank Transfer button will appear on all of your invoices. 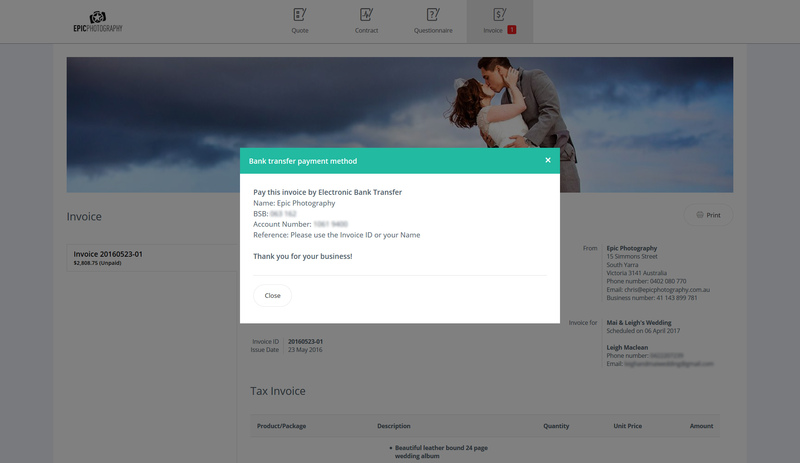 When a client clicks on the Pay by Bank Transfer button, a lightbox will appear displaying the instructions your provided here. This option was created to give you the flexibility to add any option here that you like. For example, you may want your clients to pay you via a phone call, or post you a cheque. 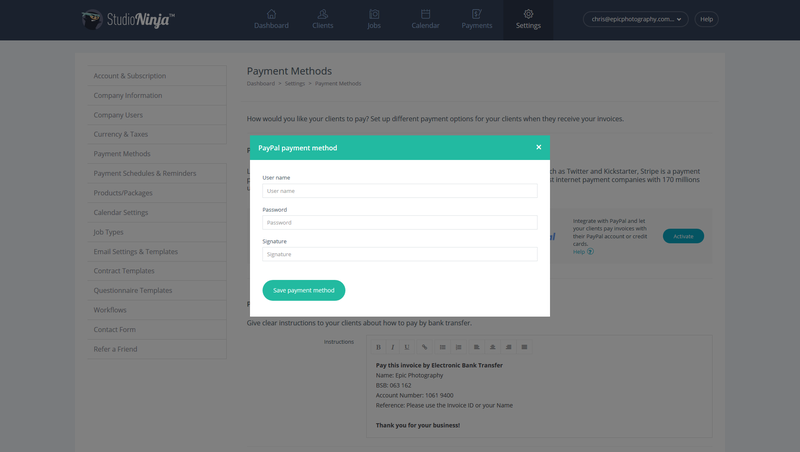 Whatever your unique payment method is, this is where you would put the details. The Name of Method field will become the button title. The instructions will appear in the lightbox when your client clicks the button.